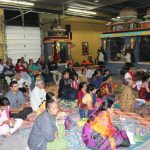 Categories: Bhakti, Divine Names, Krishna, Satsang, Srimad Bhagavatam. 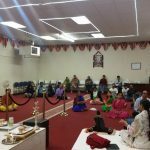 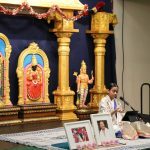 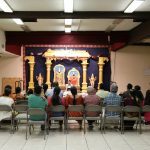 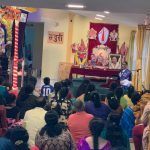 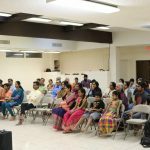 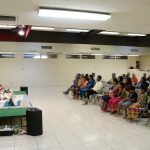 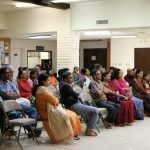 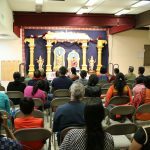 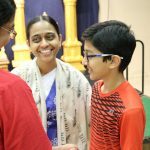 In ground-breaking first-time GOD programs in Phoenix, Sri Poornimaji spoke wonderfully on Bhagavata Saram at the Sri Venkata Krishna Kshetra Temple from March 9-11 2018. 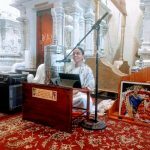 These satsangs were arranged completely by the grace of the Guru, through Smt. 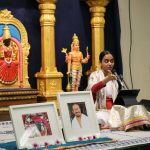 Hemalatha Hariram. 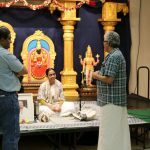 Our humble gratitude also to Sri Kiranji of the Venkata Krishna Temple who was instrumental in arranging the programs at the temple. 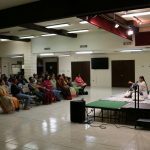 On the first day of Satsang there were around 20-25 people in the audience. 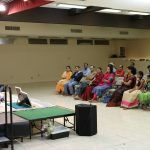 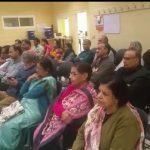 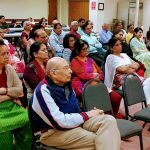 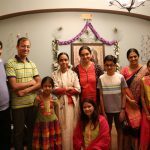 But as everyone listened to the extremely inspiring talk of Sri Poornimaji, the audience numbers doubled to around 50 for the next 2 days of the series. 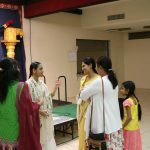 A few devotees, understanding the value of association with sadhus, also invited Sri Poornimaji to visit their homes.